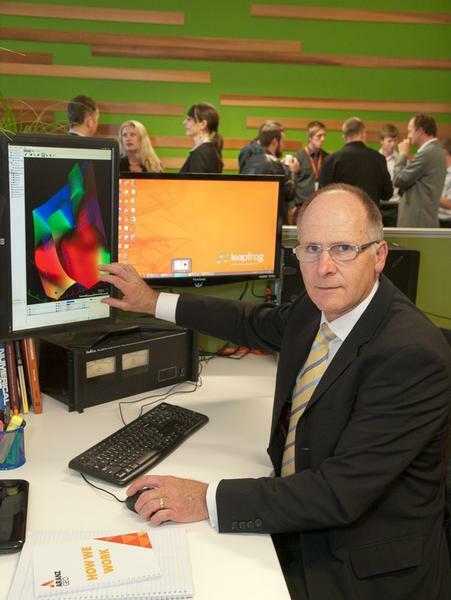 ARANZ Geo (www.aranzgeo.com), developer of world leading 3D geological modelling solutions, today announced it has been named on the 2012 Technology Fast 500 Asia Pacific list, a ranking of the region's 500 fastest growing technology companies, based on percentage revenue growth over three years. ARANZ Geo grew 149% percent and ranked #338 on the list. ARANZ Geo is achieving success internationally designing and developing their Leapfrog (www.leapfrog3d.com) 3D geological modelling solutions for the mining, hydrogeology and geothermal industries. Leader of the New Zealand Fast 50 programme, partner Stephen Nicholas, says that the fact Kiwi businesses make up almost 10% of all companies on the Asia Pacific Tech Fast 500 is proof that New Zealanders are among the best technology entrepreneurs in the region. “The Technology Fast 500 results illustrate that for innovative Kiwi businesses the relatively small size of the New Zealand market is not a barrier to achieving stellar growth. As long as they get their business model right and remain true to their core values, they can compete with the best in the world,” says Mr Nicholas. Leapfrog Mining, the company’s flagship product was developed specifically for the minerals mining industry and is used and trusted by the world's leading mining and exploration companies who need to understand geology to make critical investment decisions rapidly. Leapfrog Hydro and Leapfrog Geothermal are designed and developed to meet the geological modelling demands of these distinct industries. ARANZ Geo has a 50-strong Christchurch based team and a further 35 staff located across a network of local support offices including Canada, United States of America, Peru, Chile, United Kingdom, Denmark, Turkey, South Africa, and Australia.